Join us for an introduction to a trend that is gaining momentum in the AEC industry as construction costs continue to rise and labor continues to be in short supply. In the development world right now it is not hard to find the word “Modular” being thrown around in discussions and countless articles. 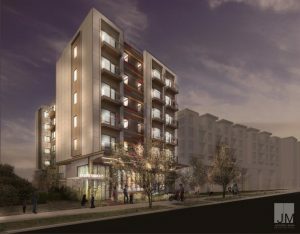 Jackson|Main Architecture has moved past the conversations and is building its second modular multifamily project in Seattle. JMA will be discussing the exciting new developments they have been working on with Nexgen housing. Success in modular housing and developments can bring great value to projects but it is relatively new to the urban multifamily world and they will be discussing the opportunities and pitfalls they have encountered and provide insight into developing a successful modular strategy for the future.